If it is GAIN you want from a small boom, you have come to the right place! Why Rear Mount? One good reason is to allow another rear mount antenna on the other side of your mast and hence doubling the bands you can cover! Another impressive design from G0KSC, 'The Quad has been InnovAted!' 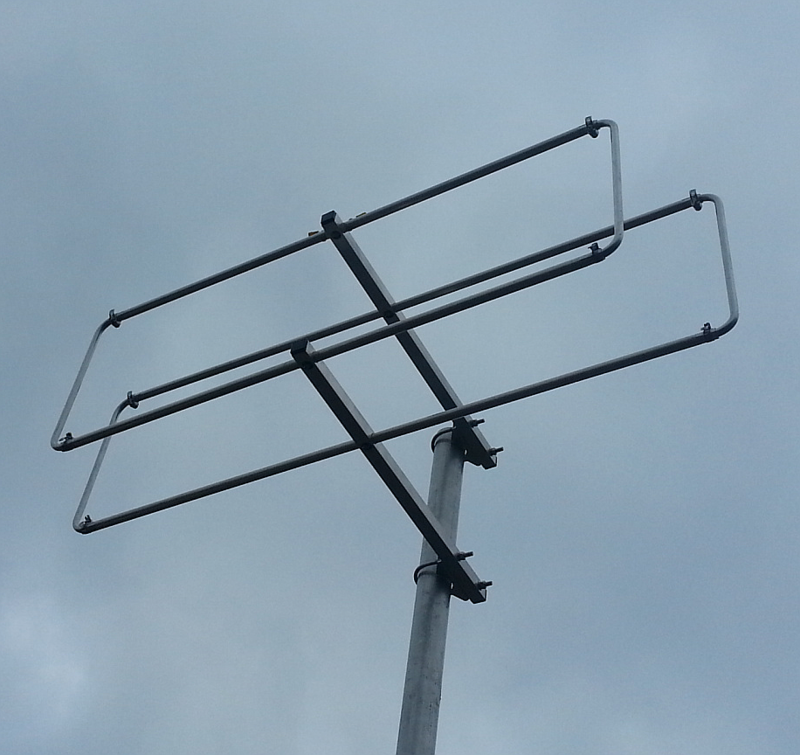 A Quad-style antenna with full wave length loop elements which provide a number of benefits. First, if the elements are of reasonable thickness (as ours are, they are not wire!) then good bandwidth coverage can be achieved. 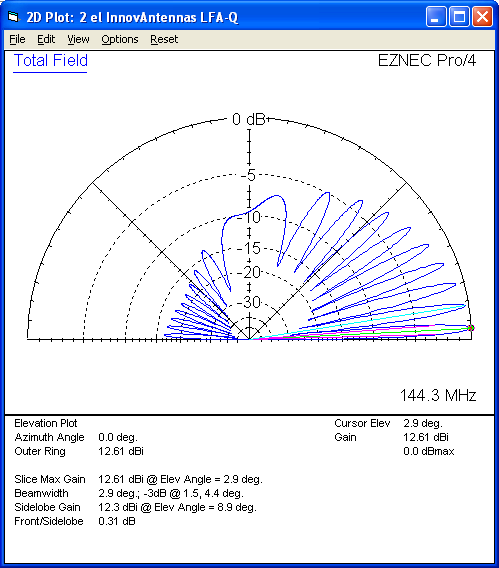 Next, up to around 7 elements (1.5wl) much better gain per metre of boom can be achieved than would otherwise be possible from a traditional Yagi covering the same bandwidth. Finally, with the dual-boom structure and 1/2'' diameter elements, the LFA-Q is extremely rigid and can stand up to some serious weather conditions! Despite it's rigidity, the LFA-Q is extremely lightweight and this means even in strong winds, snow and ice the LFA-Q will hold it's own. 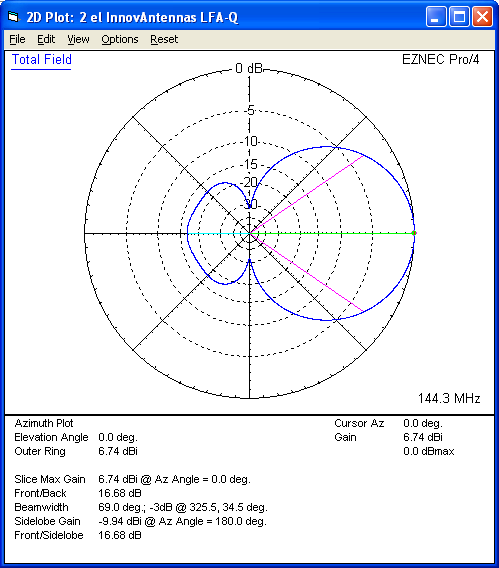 Our antennas are constructed with the best quality materials in order the best mechanical construction can be achieved, not the cheapest and most profitable! Even a digital caliper is used (with an accuracy of .01mm) to measure the elements during production to ensure they are within 0.2mm of what they should be, this ensures they work as well as our software model predicts. 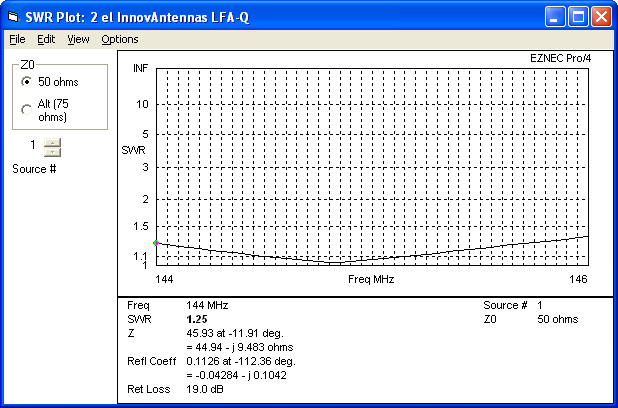 This antenna is made with a 1/2 inch (12.7mm) and 3/8 inch (9.525mm) diameter tube for the LFA-Q and the boom sections are 3/4'' 19mm diameter. This antenna is not made cheaply, it is made to perform and to do so for many years with Marine Grade Stainless Steel fixings.